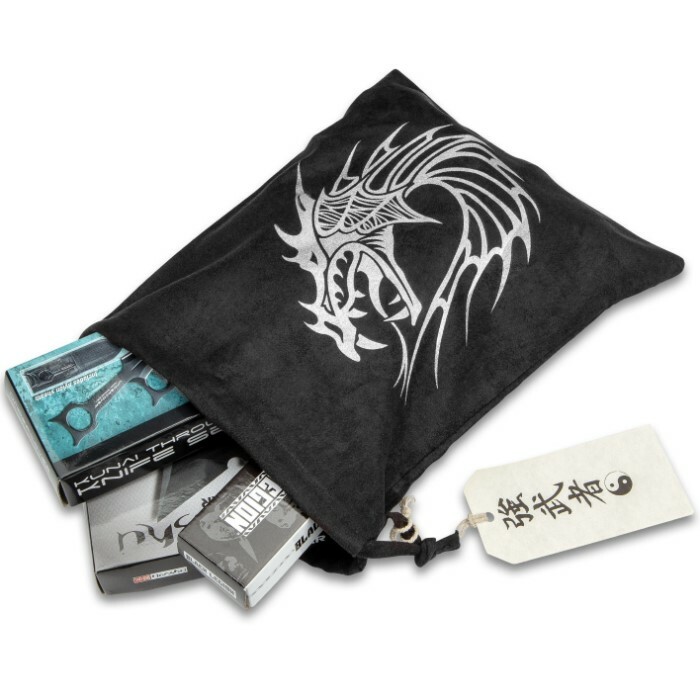 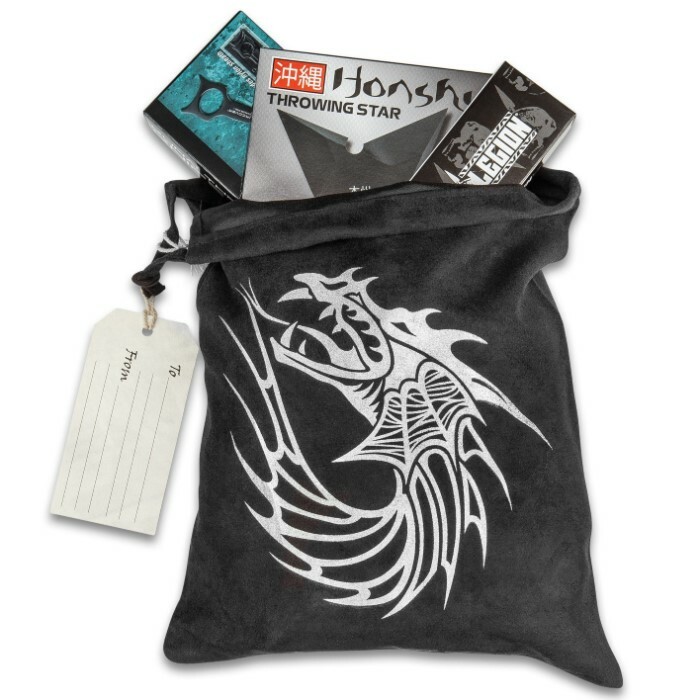 Our Dragon Gift Bag has a decorative hanger tag so that you can address your gift of an incredible knife to the recipient. 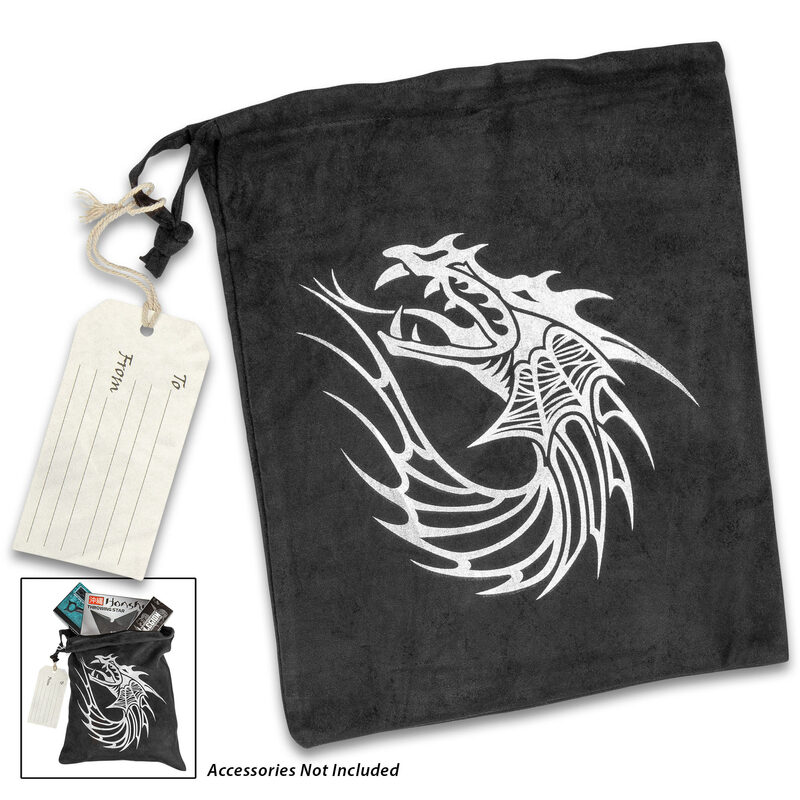 The attractive bag is made of black velveteen and features a stylized fierce dragon profile design printed in grey. It has a drawstring closure and its overall dimensions are 11 1/2”x 9 1/2”.